Digging up Shovel Knight will be one of the most rewarding experiences you’ll have regarding finding hidden treasure- that is, until you’re digging for gems on Shovel Knight itself. Parading as a retro-style platformer, Shovel Knight pretends that it’s all fun and games. What you won’t discover until you’re already hooked, however, is that Shovel Knight presents a worthy challenge that might just have you up all night and into the next. As subtly merciless as the Dark Souls series, Shovel Knight offers a gaming experience that probably will have you filling the air with equal amounts of curse words and triumphant exclamations. 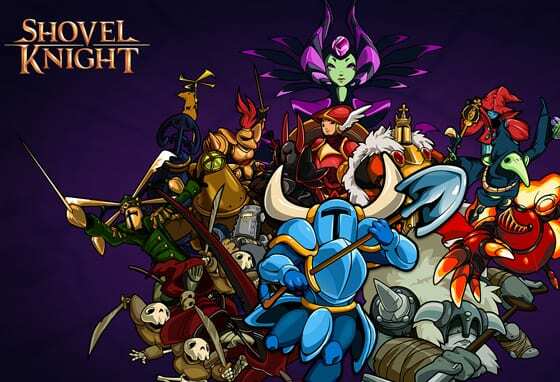 The plot revolves around Shovel Knight and his desperate search for his beloved Shield Knight. Shovel Knight and Shield Knight traveled the world together, but were separated in the aptly named “Tower of Fate” after a cursed amulet takes over Shield Knight and locks Shovel Knight outside. Shovel Knight puts himself into a forced exile while evil takes over the land in the form of the Enchantress. One day, Shovel Knight hears that the Tower of Fate has been unsealed. He decides to journey forth once again to reclaim Shield Knight and to restore peace and order to a land descended into chaos. Shovel Knight begins with, well, a shovel. As you progress through the game you will have the opportunity to collect gems and coins and thus purchase more impressive gear for yourself, including secondary fire wands and magical armor. The gameplay revolves around classical platforming, reminiscent of Super Mario Bros. Don’t be fooled by this vague nostalgic hint. Shovel Knight is far more eager to punish your mistakes, causing you to lose money every time you die and forcing you to forfeit that money entirely if you don’t reclaim it before you die again. The platforming gradually becomes more difficult as the plot moves forward and never really relents. You also may find yourself tripping over your attempts to recreate Mario moves on Shovel Knight, which, by the way, don’t work at all. It’s hard to know exactly how many games have attempted to recreate the magical atmosphere of retro gaming and failed, since there’ve been a good many of them. Fortunately, Shovel Knight need not be added to this list. Presented in 8-bit graphics with matching music and equally vintage color combinations, Shovel Knight feels gloriously old-school without ever feeling cliché. 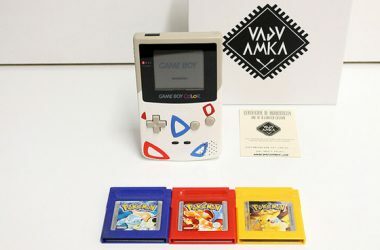 The theme songs vary appropriately with different levels and are surprisingly catchy, while the graphics feature beautiful renditions of retro gaming that add depth and character to an already well-beloved style. Shovel Knight is available on Steam, Nintendo 3DS, Wii U, PS3, PS4, PS Vita, and Xbox One. So, basically, you don’t have an excuse to not get yourself a copy. Do yourself a favor and download Shovel Knight for any one of these devices. It plays equally well on all and will have you shouting at the screen in anguish and delight in no time. There is also a secondary plot that runs on after the game is initially defeated, as well as downloadable content and extra goodies that will keep you entertained for a good long while. Happy shoveling. I just want to say I’m newbie to blogging and certainly savored this web-site. Probably I’m want to bookmark your website . You definitely come with outstanding articles and reviews. Kudos for sharing your website page. My wife and i got absolutely cheerful when Jordan managed to do his homework with the precious recommendations he made while using the web pages. It is now and again perplexing to just find yourself giving out strategies that many people could have been trying to sell. Therefore we grasp we need you to be grateful to for that. 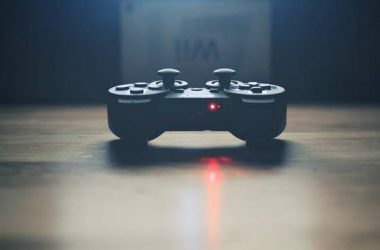 The specific explanations you made, the simple website navigation, the relationships your site aid to create – it’s got many awesome, and it is making our son and us believe that this topic is entertaining, which is certainly exceedingly serious. Thank you for the whole lot! I would like to thank you for the efforts you have put in writing this site. I am hoping the same high-grade web site post from you in the upcoming as well. Actually your creative writing skills has encouraged me to get my own web site now. Really the blogging is spreading its wings quickly. Your write up is a great example of it. Quite interesting. I think you have made beneficial and valid points on this writing. Certainly with you 100 % and am pleased I had the opportunity to read this. I simply needed to appreciate you all over again. I do not know what I might have gone through without the entire pointers discussed by you on such a situation. Previously it was a very intimidating circumstance in my circumstances, but considering a new expert way you handled the issue forced me to cry for gladness. I am just grateful for the guidance as well as pray you are aware of an amazing job you have been accomplishing training people all through a blog. Probably you haven’t met any of us. I needed to send you a little remark to be able to thank you the moment again for your marvelous principles you have discussed on this website. It’s simply extremely open-handed with you to deliver openly what exactly a lot of people could have offered as an e book to help with making some profit on their own, particularly given that you might well have done it if you desired. Those inspiring ideas also served like a easy way to be aware that other people online have the same keenness much like my personal own to understand good deal more with reference to this problem. I know there are millions of more pleasurable occasions ahead for individuals that look into your website. Hi, Neat post. There’s a problem along with your website in internet explorer, could test this¡K IE nonetheless is the marketplace leader and a large part of folks will pass over your fantastic writing because of this problem. You are my aspiration , I have few web logs and very sporadically run out from to post .I think this web site contains some very fantastic info for everyone. “A sense of share is not a bad moral compass.” by Colin. It¡¦s really a nice and useful piece of information. I am glad that you shared this helpful information with us. Please keep us up to date like this. Thank you for sharing. I¡¦m not certain where you are getting your information, but good topic. I must spend some time studying more or understanding more. Thanks for excellent info I was looking for this info for my mission. Thank you for every other fantastic post. The place else may anyone get that type of information in such a perfect means of writing? I have a presentation next week, and I’m on the search for such information. I would like to thank you for the efforts you’ve put in writing this site. I am hoping the same high-grade web site post from you in the upcoming also. In fact your creative writing skills has encouraged me to get my own blog now. Really the blogging is spreading its wings rapidly. Your write up is a good example of it. Thanks for sharing superb informations. Your site is so cool. I’m impressed by the details that you’ve on this website. It reveals how nicely you understand this subject. Bookmarked this website page, will come back for more articles. You, my pal, ROCK! I found simply the info I already searched all over the place and just couldn’t come across. What a perfect website. Just desire to say your article is as amazing. The clarity in your post is just cool and i can assume you are an expert on this subject. Fine with your permission allow me to grab your RSS feed to keep updated with forthcoming post. Thanks a million and please carry on the rewarding work. I was reading through some of your posts on this website and I conceive this site is real informative ! Retain putting up. Some genuinely superb articles on this internet site, regards for contribution. “A religious awakening which does not awaken the sleeper to love has roused him in vain.” by Jessamyn West. A person necessarily lend a hand to make seriously posts I’d state. That is the very first time I frequented your website page and thus far? I surprised with the analysis you made to create this particular submit amazing. Wonderful task! Useful information. Lucky me I discovered your website by chance, and I am stunned why this accident did not happened in advance! I bookmarked it. A person essentially assist to make critically posts I might state. This is the first time I frequented your website page and to this point? I surprised with the analysis you made to make this particular publish amazing. Great task! I needed to put you that tiny observation to be able to say thanks a lot over again with the marvelous concepts you have provided on this website. It was certainly particularly open-handed of people like you to present easily what exactly many of us could have supplied for an e-book to help make some cash for themselves, most importantly now that you could have tried it if you desired. These basics additionally acted to be a easy way to fully grasp many people have the identical keenness the same as my own to know the truth whole lot more when it comes to this condition. I am certain there are millions of more pleasurable opportunities up front for those who read carefully your site. Someone essentially assist to make critically posts I might state. This is the very first time I frequented your web page and thus far? I surprised with the research you made to make this actual submit amazing. Great activity! Hi, truly turned into informed of your blog site by way of Google, and discovered that should be actually informative. I am just going to be aware for brussels. I can be thankful once you continue this sometime soon. Lots of people could be benefited from your blogging. Many thanks! I really enjoy looking at on this site, it has got fantastic content. “And all the winds go sighing, For sweet things dying.” by Christina Georgina Rossetti. I cling on to listening to the news update lecture about getting free online grant applications so I have been looking around for the top site to get one. Could you advise me please, where could i get some? I¡¦m no longer positive the place you’re getting your information, but great topic. I must spend some time studying more or working out more. Thanks for fantastic information I used to be in search of this information for my mission. You actually make it appear so easy along with your presentation but I find this matter to be actually something that I believe I’d never understand. It seems too complex and extremely large for me. I am looking forward on your subsequent submit, I¡¦ll attempt to get the hang of it! Great ¡V I should definitely pronounce, impressed with your web site. I had no trouble navigating through all the tabs and related information ended up being truly easy to do to access. I recently found what I hoped for before you know it in the least. Quite unusual. Is likely to appreciate it for those who add forums or something, site theme . a tones way for your customer to communicate. Nice task.. I want to get across my respect for your kind-heartedness supporting those people that really need guidance on your concept. Your special commitment to passing the message throughout appears to be certainly effective and has always made women like me to reach their pursuits. Your own valuable guideline implies a great deal to me and substantially more to my office colleagues. Thanks a ton; from everyone of us. You have mentioned very interesting points ! ps decent web site . “It is better to be hated for who you are than to be loved for what you are not.” by Andre Gide. Usually I don’t learn post on blogs, however I would like to say that this write-up very forced me to try and do it! Your writing taste has been surprised me. Thank you, very nice post. I’m still learning from you, but I’m trying to reach my goals. I absolutely love reading all that is written on your blog.Keep the information coming. I loved it! you’re really a good webmaster. The site loading velocity is amazing. It seems that you’re doing any unique trick. Moreover, The contents are masterwork. you’ve performed a wonderful task in this subject! Valuable info. Fortunate me I discovered your site accidentally, and I am surprised why this twist of fate didn’t happened in advance! I bookmarked it. But wanna comment that you have a very nice web site , I the design and style it really stands out. Hello, Neat post. There is an issue with your web site in web explorer, could test this… IE nonetheless is the marketplace chief and a big portion of other folks will pass over your fantastic writing due to this problem. I will right away clutch your rss feed as I can’t to find your email subscription link or newsletter service. Do you have any? Kindly permit me recognise in order that I may subscribe. Thanks. Great web site. Plenty of helpful information here. I am sending it to a few friends ans also sharing in delicious. And obviously, thank you on your effort! you are truly a excellent webmaster. The site loading speed is incredible. It sort of feels that you are doing any distinctive trick. In addition, The contents are masterpiece. you have performed a fantastic process on this matter! you are in reality a just right webmaster. The site loading pace is incredible. It sort of feels that you are doing any unique trick. Furthermore, The contents are masterpiece. you’ve done a magnificent task in this matter! I have learn a few good stuff here. Definitely price bookmarking for revisiting. I wonder how much effort you set to make one of these wonderful informative web site. A person necessarily assist to make significantly articles I’d state. This is the very first time I frequented your website page and thus far? I amazed with the analysis you made to create this actual publish amazing. Fantastic process! Whats Going down i am new to this, I stumbled upon this I have found It positively helpful and it has helped me out loads. I’m hoping to give a contribution & assist other customers like its helped me. Great job. I will immediately seize your rss feed as I can’t in finding your email subscription hyperlink or newsletter service. Do you have any? Please let me recognize in order that I may just subscribe. Thanks. I just couldn’t depart your site prior to suggesting that I actually loved the usual info a person provide for your guests? Is gonna be back continuously in order to investigate cross-check new posts. Simply wish to say your article is as amazing. The clarity in your post is just nice and i could assume you’re an expert on this subject. Well with your permission let me to grab your feed to keep updated with forthcoming post. Thanks a million and please carry on the enjoyable work. You really make it seem really easy together with your presentation but I find this matter to be actually something that I think I’d never understand. It kind of feels too complicated and extremely broad for me. I am having a look forward for your next publish, I¡¦ll try to get the cling of it! Good remarkable things here. I will be really delighted to peer this page. Bless you very much and I was looking ahead to make contact with you. Will you please drop me an e-mail? Thank you, I have just been searching for info approximately this topic for a long time and yours is the best I have found out so far. But, what about the bottom line? Are you certain about the source? Simply wanna input that you have a very decent web site , I the pattern it actually stands out. My wife and i were really delighted that Emmanuel could conclude his web research because of the ideas he gained from your weblog. It is now and again perplexing to simply possibly be giving away guides that many men and women might have been selling. And we all recognize we have the writer to appreciate for that. The illustrations you have made, the simple site navigation, the friendships your site aid to engender – it’s got everything remarkable, and it’s really facilitating our son and the family believe that that theme is interesting, which is tremendously fundamental. Thank you for all the pieces! Please let me know if you’re looking for a article author for your blog. You have some really great posts and I think I would be a good asset. If you ever want to take some of the load off, I’d absolutely love to write some content for your blog in exchange for a link back to mine. Please blast me an email if interested. Regards! Excellent blog! Do you have any suggestions for aspiring writers? I’m hoping to start my own blog soon but I’m a little lost on everything. Would you recommend starting with a free platform like WordPress or go for a paid option? There are so many options out there that I’m totally confused .. Any tips? Kudos! We absolutely love your blog and find many of your post’s to be exactly what I’m looking for. can you offer guest writers to write content in your case? I wouldn’t mind publishing a post or elaborating on many of the subjects you write concerning here. Again, awesome website! Hi there, i read your blog from time to time and i own a similar one and i was just wondering if you get a lot of spam responses? If so how do you prevent it, any plugin or anything you can advise? I get so much lately it’s driving me crazy so any support is very much appreciated. With havin so much written content do you ever run into any issues of plagorism or copyright violation? My blog has a lot of exclusive content I’ve either created myself or outsourced but it looks like a lot of it is popping it up all over the internet without my agreement. Do you know any methods to help prevent content from being ripped off? I’d genuinely appreciate it. Hi there! Someone in my Facebook group shared this website with us so I came to take a look. I’m definitely enjoying the information. I’m book-marking and will be tweeting this to my followers! Terrific blog and excellent design and style. Hey there! I know this is kinda off topic but I’d figured I’d ask. Would you be interested in exchanging links or maybe guest authoring a blog article or vice-versa? My site addresses a lot of the same subjects as yours and I feel we could greatly benefit from each other. If you’re interested feel free to shoot me an e-mail. I look forward to hearing from you! Great blog by the way! Hey there great website! Does running a blog like this take a large amount of work? I have absolutely no expertise in computer programming however I had been hoping to start my own blog in the near future. Anyway, should you have any recommendations or tips for new blog owners please share. I know this is off topic however I simply had to ask. Many thanks! Hmm it looks like your website ate my first comment (it was extremely long) so I guess I’ll just sum it up what I had written and say, I’m thoroughly enjoying your blog. I as well am an aspiring blog writer but I’m still new to the whole thing. Do you have any tips and hints for first-time blog writers? I’d really appreciate it. I enjoy what you guys are up too. This sort of clever work and reporting! Keep up the good works guys I’ve incorporated you guys to blogroll. My spouse and i got really contented that Louis managed to conclude his studies using the ideas he came across out of your weblog. It’s not at all simplistic to simply happen to be handing out tactics which often people might have been trying to sell. And we also realize we have got the writer to thank for that. These explanations you have made, the straightforward blog navigation, the relationships your site aid to create – it’s mostly awesome, and it’s making our son in addition to our family imagine that this article is brilliant, which is certainly quite vital. Thanks for all! Just wanna input on few general things, The website design and style is perfect, the written content is real fantastic : D.
With havin so much content do you ever run into any issues of plagorism or copyright infringement? My website has a lot of exclusive content I’ve either created myself or outsourced but it appears a lot of it is popping it up all over the internet without my authorization. Do you know any ways to help stop content from being ripped off? I’d definitely appreciate it. Thanks for every other magnificent post. Where else could anyone get that kind of info in such an ideal manner of writing? I’ve a presentation next week, and I’m on the search for such info. Thanks for sharing superb informations. Your website is very cool. I am impressed by the details that you have on this web site. It reveals how nicely you understand this subject. Bookmarked this web page, will come back for extra articles. You, my friend, ROCK! I found simply the info I already searched everywhere and simply could not come across. What an ideal site. I have been browsing on-line more than three hours these days, yet I never discovered any attention-grabbing article like yours. It is pretty worth enough for me. In my view, if all website owners and bloggers made excellent content as you probably did, the internet might be much more helpful than ever before. I am no longer sure where you’re getting your information, however great topic. I needs to spend some time studying more or figuring out more. Thanks for fantastic info I was searching for this information for my mission. I would like to thnkx for the efforts you’ve put in writing this website. I am hoping the same high-grade blog post from you in the upcoming as well. Actually your creative writing skills has encouraged me to get my own site now. Really the blogging is spreading its wings rapidly. Your write up is a good example of it. It is really a great and useful piece of information. I am glad that you just shared this helpful information with us. Please stay us up to date like this. Thanks for sharing. Hi there! I know this is kinda off topic but I’d figured I’d ask. Would you be interested in exchanging links or maybe guest writing a blog article or vice-versa? My site goes over a lot of the same subjects as yours and I believe we could greatly benefit from each other. If you are interested feel free to shoot me an email. I look forward to hearing from you! Terrific blog by the way! Hey there! Quick question that’s entirely off topic. Do you know how to make your site mobile friendly? My web site looks weird when browsing from my iphone4. I’m trying to find a theme or plugin that might be able to fix this issue. If you have any recommendations, please share. With thanks! It’s in point of fact a great and useful piece of information. I am glad that you shared this helpful information with us. Please stay us informed like this. Thanks for sharing. My spouse and I stumbled over here different web address and thought I should check things out. I like what I see so now i am following you. Look forward to exploring your web page repeatedly. Woah! I’m really loving the template/theme of this site. It’s simple, yet effective. A lot of times it’s challenging to get that “perfect balance” between superb usability and visual appearance. I must say you have done a amazing job with this. In addition, the blog loads super fast for me on Opera. Outstanding Blog! Some really good info , Gladiola I discovered this. “If a child can’t learn the way we teach, maybe we should teach the way they learn.” by Ignacio Estrada. Thanks for a marvelous posting! I definitely enjoyed reading it, you might be a great author.I will remember to bookmark your blog and will often come back from now on. I want to encourage you to ultimately continue your great job, have a nice morning! Magnificent goods from you, man. I’ve understand your stuff previous to and you are just too great. I really like what you’ve acquired here, really like what you’re saying and the way in which you say it. You make it enjoyable and you still take care of to keep it wise. I cant wait to read far more from you. This is actually a terrific web site. Howdy! I realize this is sort of off-topic but I had to ask. Does operating a well-established website such as yours require a large amount of work? I am brand new to writing a blog however I do write in my journal daily. I’d like to start a blog so I can share my own experience and views online. Please let me know if you have any kind of ideas or tips for new aspiring blog owners. Appreciate it! Hello there! This is my first comment here so I just wanted to give a quick shout out and say I really enjoy reading through your blog posts. Can you recommend any other blogs/websites/forums that go over the same topics? Thank you so much! Excellent site. Plenty of helpful information here. I am sending it to a few buddies ans also sharing in delicious. And certainly, thank you to your sweat! I’m just commenting to let you be aware of what a brilliant experience my friend’s girl developed using your blog. She realized some pieces, with the inclusion of how it is like to have a marvelous teaching character to get folks quite simply comprehend a variety of impossible subject matter. You really did more than our own expectations. Thank you for providing such invaluable, trusted, revealing and even cool tips about that topic to Kate. I do trust all of the concepts you’ve offered to your post. They are very convincing and can certainly work. Still, the posts are too quick for beginners. Could you please extend them a little from next time? Thank you for the post. Someone essentially lend a hand to make seriously articles I’d state. That is the first time I frequented your website page and so far? I surprised with the analysis you made to make this actual put up extraordinary. Great job! Keep up the great work , I read few articles on this internet site and I believe that your website is very interesting and contains bands of superb info . I am only writing to let you be aware of what a nice experience our girl found going through the blog. She even learned lots of things, most notably what it’s like to possess an incredible teaching mood to get folks very easily gain knowledge of certain problematic matters. You really did more than visitors’ desires. Many thanks for supplying these important, trusted, informative and as well as fun tips about the topic to Kate. put in writing this blog. I’m hoping to see thhe same high-grade content from you in the futuree as well. I am now not positive the place you’re getting your info, but great topic. I must spend a while learning much more or working out more. Thanks for wonderful information I used to be in search of this info for my mission. You really make it appear really easy together with your presentation but I find this topic to be actually one thing that I feel I might never understand. It seems too complex and extremely extensive for me. I am taking a look ahead to your next publish, I will try to get the hang of it! What i don’t understood is if truth be told how you’re now not actually a lot more neatly-liked than you may be right now. You are very intelligent. You realize therefore significantly when it comes to this topic, produced me in my view believe it from a lot of varied angles. Its like women and men don’t seem to be fascinated except it’s something to accomplish with Woman gaga! Your personal stuffs nice. All the time take care of it up! Someone essentially assist to make seriously articles I would state. That is the first time I frequented your web page and thus far? I surprised with the analysis you made to make this particular submit extraordinary. Fantastic job! I’ll right away clutch your rss feed as I can’t to find your e-mail subscription link or e-newsletter service. Do you’ve any? Please let me understand in order that I could subscribe. Thanks. It’s a shame you don’t have a donate button! I’d most certainly donate to this fantastic blog! I suppose for now i’ll settle for book-marking and adding your RSS feed to my Google account. I look forward to fresh updates and will talk about this site with my Facebook group. Chat soon! Hiya! Quick question that’s entirely off topic. Do you know how to make your site mobile friendly? My blog looks weird when viewing from my iphone 4. I’m trying to find a theme or plugin that might be able to resolve this problem. If you have any recommendations, please share. Thanks! Very well written article. It will be helpful to anybody who usess it, including me. Keep doing what you are doing – looking forward to more posts. I enjoy you because of all your valuable work on this blog. Ellie enjoys managing internet research and it is obvious why. We all notice all concerning the compelling method you provide very important steps through this web site and even encourage participation from some others on that matter plus my child is actually studying a lot. Enjoy the remaining portion of the new year. You’re performing a great job. Thanks , I have recently been searching for info approximately this topic for ages and yours is the greatest I have came upon till now. But, what in regards to the conclusion? Are you sure in regards to the source? Hello, Neat post. There’s a problem with your web site in internet explorer, might check this¡K IE still is the marketplace leader and a good part of other folks will pass over your wonderful writing because of this problem. Normally I do not learn article on blogs, however I wish to say that this write-up very pressured me to try and do it! Your writing style has been surprised me. Thank you, quite nice post. magnificent points altogether, you simply received a brand new reader. What may you recommend about your put up that you just made a few days in the past? Any positive? I just couldn’t depart your web site prior to suggesting that I extremely enjoyed the standard info a person supply to your visitors? Is gonna be again steadily to check out new posts. Awesome blog! Do you have any hints for aspiring writers? I’m hoping to start my own site soon but I’m a little lost on everything. Would you suggest starting with a free platform like WordPress or go for a paid option? There are so many choices out there that I’m totally confused .. Any ideas? Kudos! Hey I am so happy I found your blog page, I really found you by accident, while I was researching on Bing for something else, Nonetheless I am here now and would just like to say thanks for a fantastic post and a all round interesting blog (I also love the theme/design), I don’t have time to read through it all at the moment but I have saved it and also added your RSS feeds, so when I have time I will be back to read more, Please do keep up the great work. Everyone loves what you guys are usually up too. This kind of clever work and coverage! Keep up the awesome works guys I’ve incorporated you guys to our blogroll. I like what you guys are usually up too. This kind of clever work and exposure! Keep up the very good works guys I’ve incorporated you guys to my own blogroll. I absolutely love your blog and find most of your post’s to be just what I’m looking for. Does one offer guest writers to write content available for you? I wouldn’t mind producing a post or elaborating on a few of the subjects you write with regards to here. Again, awesome web log! I absolutely love your blog and find a lot of your post’s to be what precisely I’m looking for. Would you offer guest writers to write content to suit your needs? I wouldn’t mind producing a post or elaborating on many of the subjects you write regarding here. Again, awesome website! Hello there, I discovered your web site by the use of Google whilst searching for a related subject, your site got here up, it looks great. I have bookmarked it in my google bookmarks. Simply wish to say your article is as astounding. The clarity in your post is simply nice and i can assume you’re an expert on this subject. Well with your permission allow me to grab your RSS feed to keep updated with forthcoming post. Thanks a million and please carry on the enjoyable work. Hi there very cool site!! Man .. Beautiful .. Amazing .. I’ll bookmark your site and take the feeds also…I am happy to search out so many useful info here within the put up, we want develop extra techniques on this regard, thanks for sharing. Howdy would you mind sharing which blog platform you’re working with? I’m planning to start my own blog soon but I’m having a difficult time selecting between BlogEngine/Wordpress/B2evolution and Drupal. The reason I ask is because your design seems different then most blogs and I’m looking for something unique. P.S Apologies for being off-topic but I had to ask! Hi there would you mind letting me know which web host you’re working with? I’ve loaded your blog in 3 different web browsers and I must say this blog loads a lot faster then most. Can you recommend a good hosting provider at a reasonable price? Kudos, I appreciate it! I truly wanted to write down a quick word to thank you for those magnificent guidelines you are giving here. My rather long internet lookup has at the end been compensated with incredibly good information to go over with my family members. I ‘d declare that many of us site visitors actually are truly endowed to dwell in a superb network with very many lovely people with good suggestions. I feel very much privileged to have used the website and look forward to tons of more awesome moments reading here. Thanks a lot once again for a lot of things. Its wonderful as your other articles : D, regards for putting up. “Reason is the substance of the universe. The design of the world is absolutely rational.” by Georg Wilhelm Friedrich Hegel. I do agree with all the ideas you have offered on your post. They are really convincing and will definitely work. Nonetheless, the posts are very quick for starters. May just you please lengthen them a bit from subsequent time? Thanks for the post. Hey would you mind letting me know which web host you’re using? I’ve loaded your blog in 3 completely different browsers and I must say this blog loads a lot faster then most. Can you suggest a good web hosting provider at a fair price? Many thanks, I appreciate it! you better academic way with words-at all with each one. What i don’t understood is in reality how you’re not really a lot more well-preferred than you might be now. You are very intelligent. You understand thus significantly in relation to this matter, produced me individually believe it from a lot of varied angles. Its like women and men are not involved unless it¡¦s something to accomplish with Girl gaga! Your personal stuffs great. Always care for it up! You actually make it seem really easy together with your presentation but I find this matter to be really one thing that I believe I’d by no means understand. It kind of feels too complicated and extremely extensive for me. I’m taking a look ahead in your subsequent submit, I¡¦ll try to get the grasp of it! you are really a excellent webmaster. The web site loading pace is amazing. It kind of feels that you’re doing any unique trick. Also, The contents are masterpiece. you’ve done a great task on this topic! My programmer is trying to persuade me to move to .net from PHP. I have always disliked the idea because of the costs. But he’s tryiong none the less. I’ve been using Movable-type on a number of websites for about a year and am anxious about switching to another platform. I have heard excellent things about blogengine.net. Is there a way I can import all my wordpress posts into it? Any help would be really appreciated! Hi there, I found your web site by means of Google even as looking for a similar topic, your web site got here up, it appears to be like great. I’ve bookmarked it in my google bookmarks. I’ve been browsing online greater than three hours these days, yet I never found any interesting article like yours. It¡¦s lovely value enough for me. In my view, if all webmasters and bloggers made excellent content material as you did, the net can be a lot more useful than ever before. writing is in fact fruitful in favor of me, keep up posting these articles or reviews. Hiya, I’m really glad I have found this information. Today bloggers publish just about gossips and internet and this is actually frustrating. A good web site with exciting content, this is what I need. Thank you for keeping this web-site, I will be visiting it. Do you do newsletters? Can not find it. Howdy, truly became informed of your blog site by means of Yahoo, found that must be extremely helpful. I am going to be watchful for brussels. I should be grateful if you happen to go on with this sooner or later. Many people could be benefited from your posting. Many thanks! Hello very nice website!! Man .. Beautiful .. Wonderful .. I’ll bookmark your site and take the feeds also¡KI am glad to find a lot of helpful information right here in the publish, we want develop extra techniques in this regard, thanks for sharing. . . . . . I simply want to tell you that I am beginner to weblog and truly liked you’re page. Likely I’m want to bookmark your website . You amazingly have impressive articles and reviews. Bless you for sharing your blog. I have been surfing online more than three hours nowadays, yet I never found any fascinating article like yours. It¡¦s lovely value enough for me. Personally, if all web owners and bloggers made good content as you probably did, the net will be a lot more useful than ever before. whoah this blog is wonderful i really like reading your articles. Keep up the great paintings! You understand, a lot of persons are searching around for this info, you can aid them greatly. Whats up very cool site!! Guy .. Excellent .. Superb .. I will bookmark your site and take the feeds also¡KI’m happy to seek out numerous helpful information right here within the post, we’d like work out extra techniques in this regard, thank you for sharing. . . . . .
Wow, marvelous weblog format! How long have you been blogging for? you make running a blog look easy. The entire look of your site is magnificent, let alone the content! I was just seeking this info for a while. After six hours of continuous Googleing, finally I got it in your site. I wonder what’s the lack of Google strategy that don’t rank this kind of informative websites in top of the list. Generally the top websites are full of garbage.